Photocredits: Bunny Glittergun by Henk van Rijssen. This style of printed fabric uses a method called photo printing. Creating a lifelike image on fabric. Most photo printed fabrics are tricot, but I found this cotton fabric and just fell in love. I matched most of the pattern at the front of the corset. 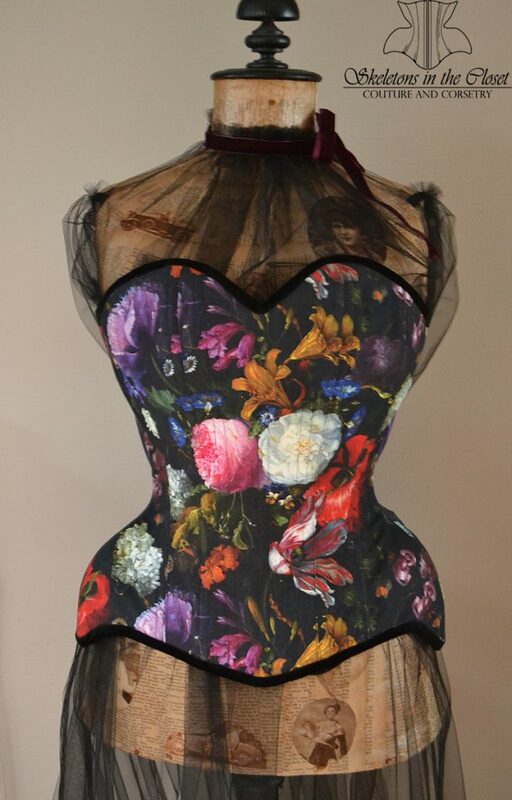 For the more curvy places of the corset I choose a certain flower or leaf to match. You can not match is over the full lenght of the pattern. The curvier the panel the harder it is to match perfectly. And as you may have noticed, I love curvy corsets. The edges are bound in velvet. This because I love the wintery feel of the velvet binding. 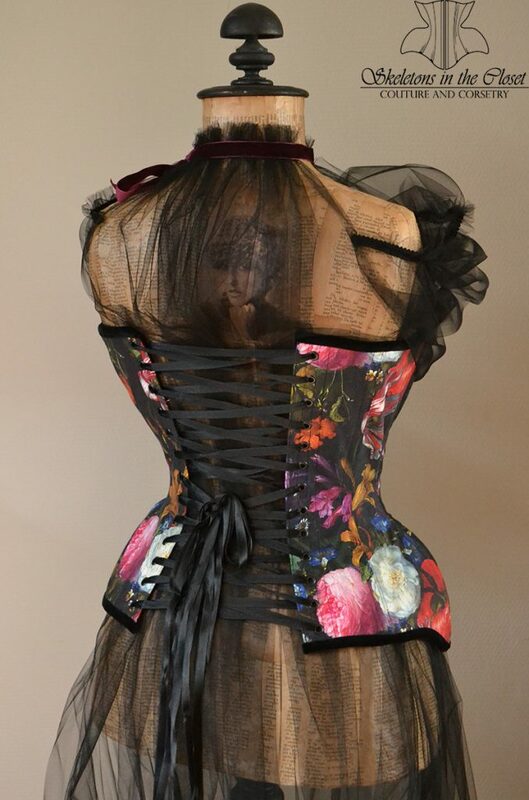 You may have become intrigued and want one of the floral corsets for yourself. Because I love this fabric so much I am doing an introduction price on these corsets. Please note that I can only make this style of corsets as long as the fabric is available. As soon as it goes out of print, there will be no more corsets in this fabric. This corset is available in the following styles: You can order by using the contactform.